When homeowners decide to update the look of the home, many start in the kitchen. New cabinets are a major expense and can easily soak up your budget. Kitchen cabinet refacing is an affordable alternative to remodelling the entire kitchen. Home improvements are expensive, so why spend more than is necessary? If the frames of your cabinetry are in good shape, refacing is a viable solution. Refacing saves time as well as money. The project can be completed in less than half the time needed to completely remove and replace all your cabinets. You won’t have to live with a torn up kitchen for long. In most cases, the job can be completed in a week or less. Homeowners with carpentry skills can do the job themselves, but professional installation is recommended for everyone else. When you are having cabinets replaced, it’s a good time to make changes to your kitchen. Create an overall design for the room. Consider elements you have wanted to add to your kitchen. This is the perfect time to remove a cabinet and add a dishwasher. Kitchen islands are often added as part of a refacing project. Your new island can be ordered to match your cabinets. Consider adding some decorative elements to the room, such as fancy trim or wood valances. For a total room makeover, painting and furniture refinishing projects can be done at the same time. To avoid paint splatters on your new cabinets, complete all painting before beginning your refacing project. This is a good time to replace appliances in the kitchen. If you’ve always wanted a built in microwave, it can easily be installed during the improvement process. Countertops are often replaced when cabinets are refaced. Choose counters and appliances to match the look of the room you are trying to create. If you need a new sink, now is the time to have it installed. The most important step in the process is to choose a reputable company for the job. Ask for references and contact the people. Check to be sure the company has the necessary licenses and insurance for the work they will be doing. Most companies offer free estimates. A designer will visit your home and measure the kitchen. You will be shown choices for cabinet doors and drawers. The designer will ask questions to determine what you want and make recommendations. A variety of materials and colors is available to match your home and give you the look you want. 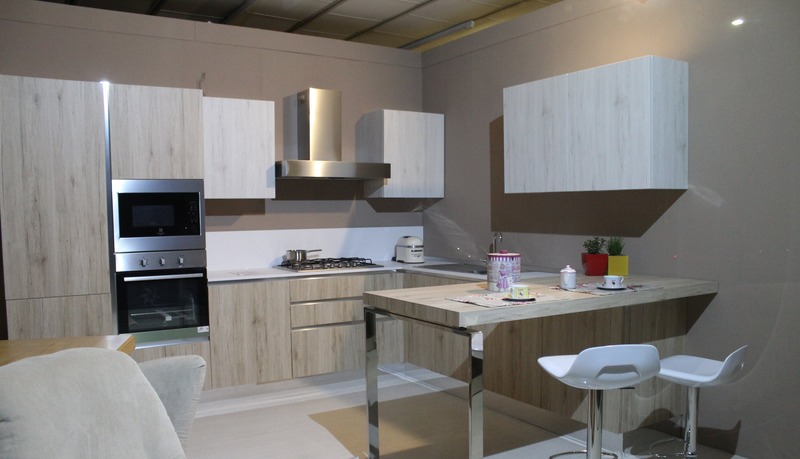 Once you have agreed to the estimate, the company will order the doors and drawers for your kitchen. When the materials arrive, installation can be done in a few days. Your life isn’t disrupted for nearly as long as a complete removal of existing cabinets. The doors and drawers are removed from the frames. The sides and parts of the frame that are visible around the doors will be refaced using the same materials as the new doors. At this point, the frames are checked to be sure they are level and any worn parts are replaced. For example, the glides on that drawer that sticks will be replaced with new glides. The new doors and drawer fronts are installed. New hinges will be placed on all cabinet doors. You can choose new hardware, door and drawer handles. This gives the room a custom and finished look. You may decide to match the hardware to the finish of sinks or faucets. Most people like to match the new cabinets to existing home furnishings. Three basic materials are used in refacing: wood, veneers and laminates. Wood, especially custom grades, is the most expensive. If the cost is prohibitive, you will find laminates on the market that have the look of expensive wood at a much lower price. If you hate your kitchen set, you may choose something different and replace the table. This can be done at the time of the remodel, or at a later time. Just decide what you will eventually want to be sure your new cabinets will work with the décor of your house, now and in the future. If you like to change your décor frequently, consider a neutral tone for cabinets that will work well with several furniture styles and colors. The most common materials used in refacing include, Custom wood, Furniture grade wood, like maple or oak, Veneers and Laminates.